On this week's edition of Talk Back hosts Eric Nesbit & Justin Gay preview the NFC East division in the NFL, predict which team will finish first, and debate the overall strength of the rosters for each squad. In segment two of the podcast, they turn to current events to talk about how the Dolphins handle Ryan Tannehill's injury, hiring Cutler over Kaepernick, Kasey Kahne getting fired from Hendrick Motorsports despite a recent win, and the Dodgers' phenomenal run. In the ... See More Lightning Round the hosts banter about Steph Curry playing professional golf and also discuss week one DraftKings salary surprises. 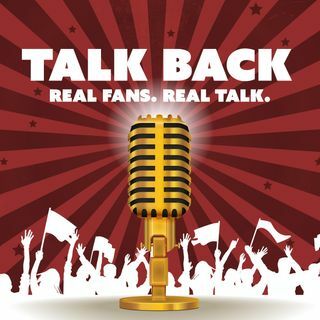 For upcoming show info or to dialogue with the hosts, check out @TalkBackFanTalk on Twitter. Enjoy the show!